One of the most interesting features of Felfil Evo is the fact that it can be tailored to the customer’s needs, thanks to its modular structure and the open-source model we adopted while developing it. The user can mod the extruder the way they prefer, or contact us to request any modifications. 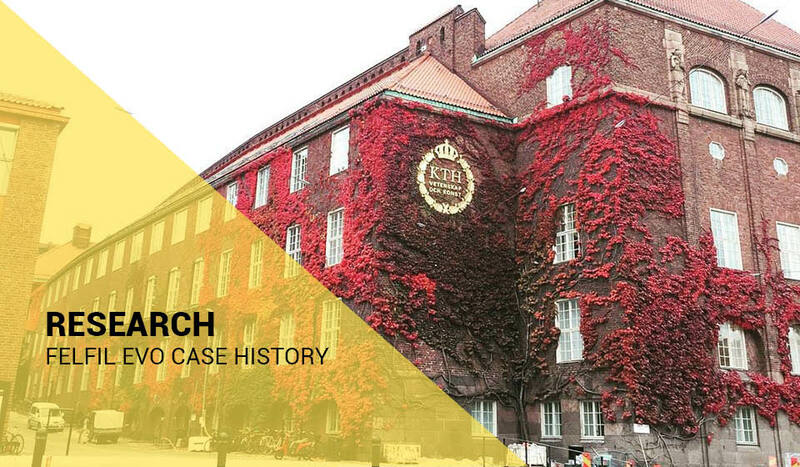 This is what the KTH Royal Insitute of Technology in Stockholm, famous as one of the biggest academic research centre in Scandinavia and one of the most important in the whole of Europe, asked as to do. The researchers involved in the PrintKnit project, which aims to test 3D printing techniques to create degradable polymers for biomedical applications, reached us to request a custom version of Felfil Evo which allowed to extrude filament under an inert atmosphere: it is a particular atmosphere which shows almost no tendency of chemical reactivity, usually made of noble gases or nitrogen, used in various scientific experiments. The next step was modding Felfil: we inserted a nozzle in the extruder, through which the researchers could pump nitrogen in the tank that contains the material to be extruded and create the inert atmosphere; in this way, they could test different materials. Felfil is often used for this purpose: see what Lattice Medical, a French company that developed a biodegradable device used for breast reconstruction after a mastectomy, did. Felfil Evo was well suited for the KTH research because it allows testing a new polymer using only a small quantity of material to extrude a new filament, rather than classic filament extruders that need a bigger quantity, raising the cost of the research. PrintKnit is a long term research, and we will keep you updated about its progress; but if you want to discover how to use Felfil in your laboratory, contact us and we will provide all the necessary information. Want you to experiment new polymers to create your filament? Do it with Felfil Evo, discover how!